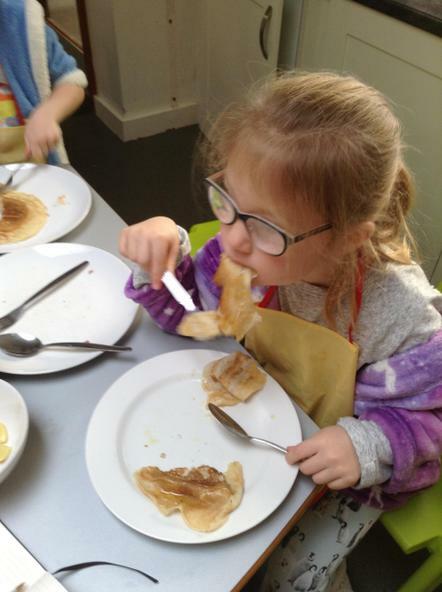 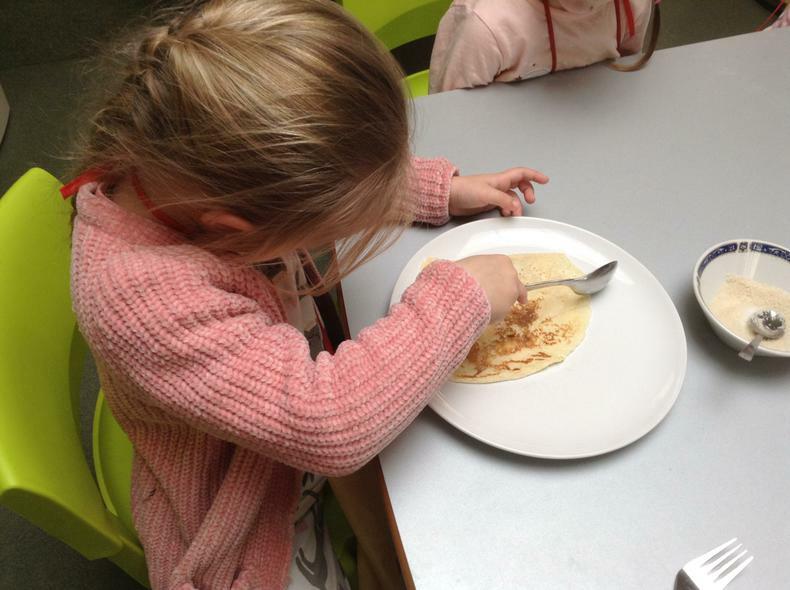 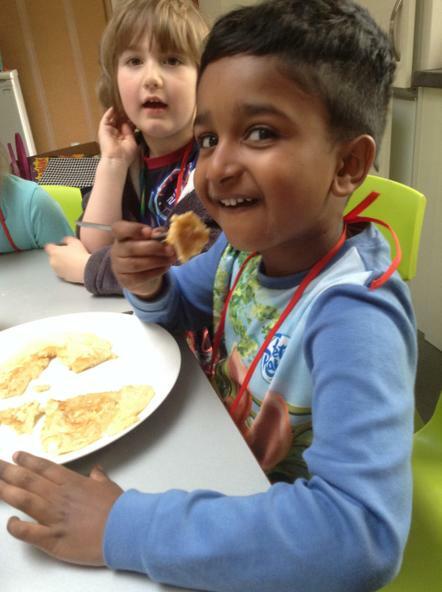 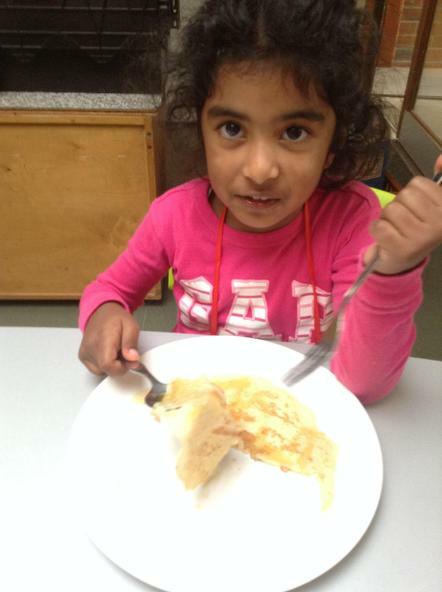 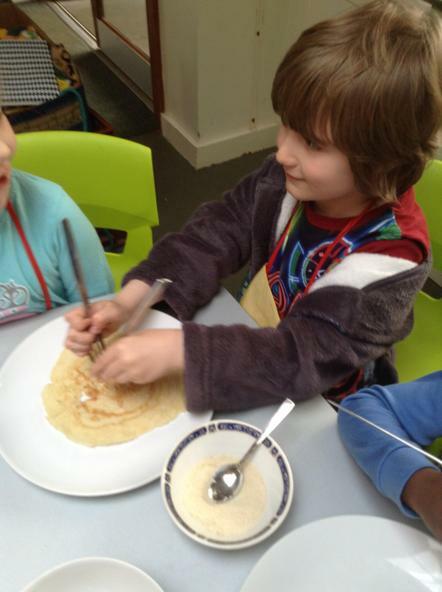 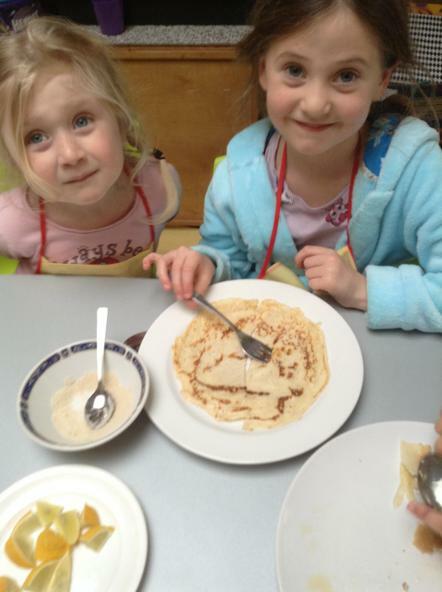 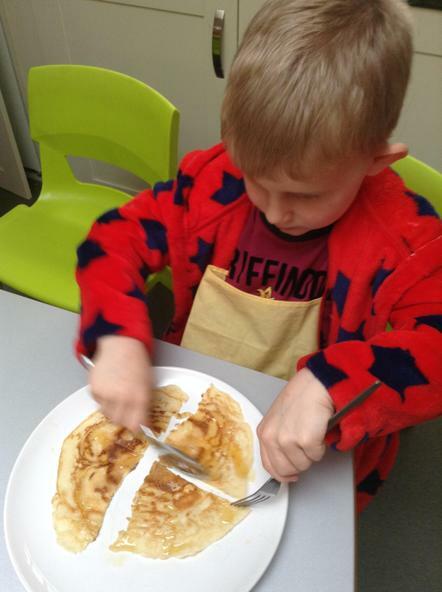 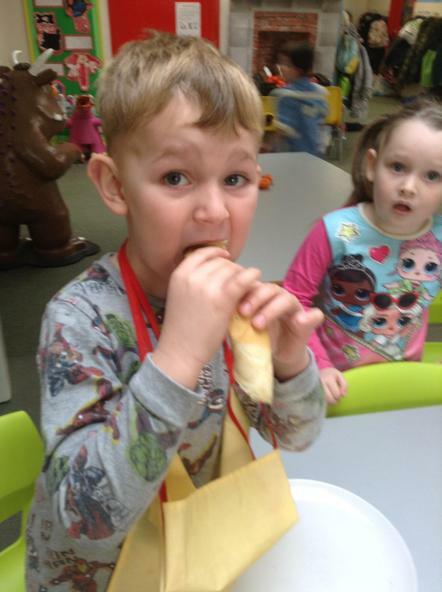 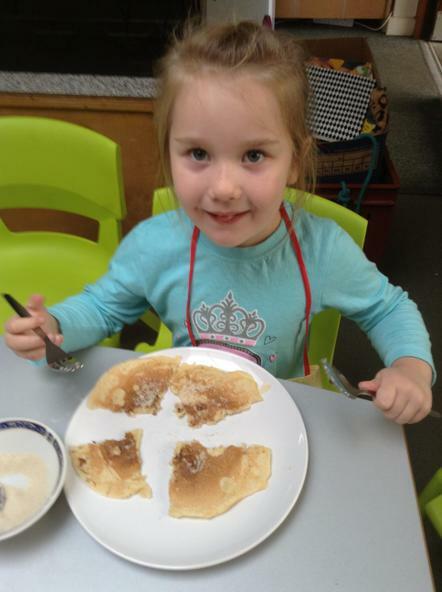 Lent is about to start, so to help us mark this special time we celebrated Pancake Day, Shrove Tuesday. 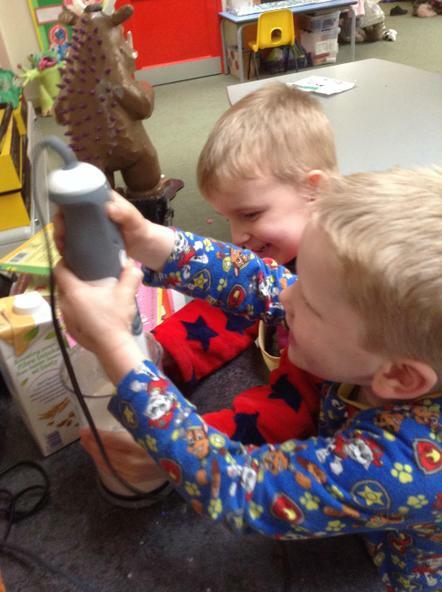 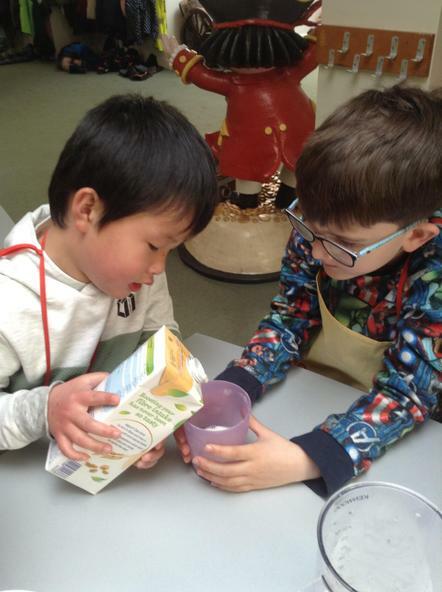 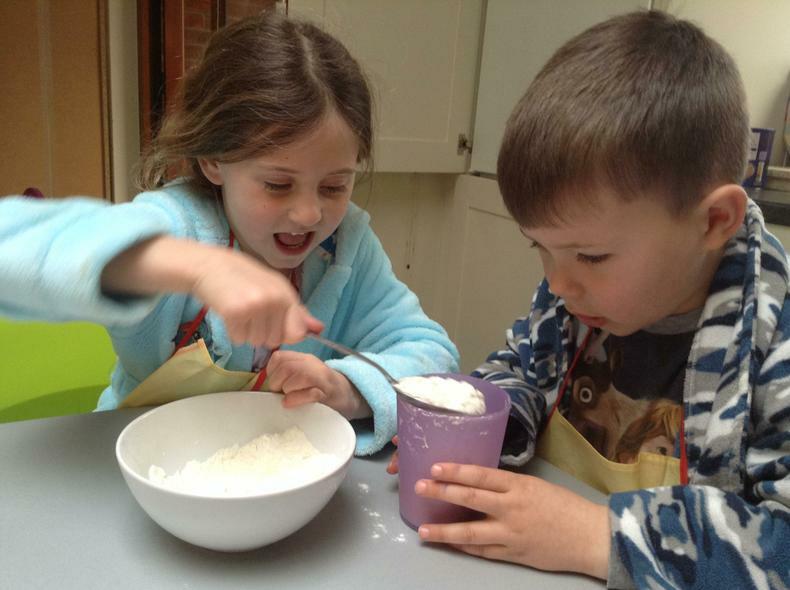 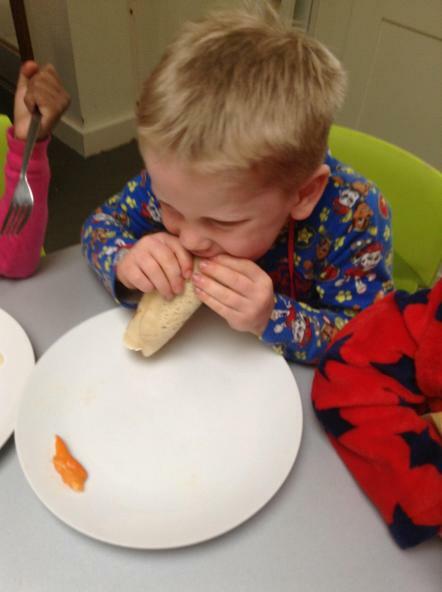 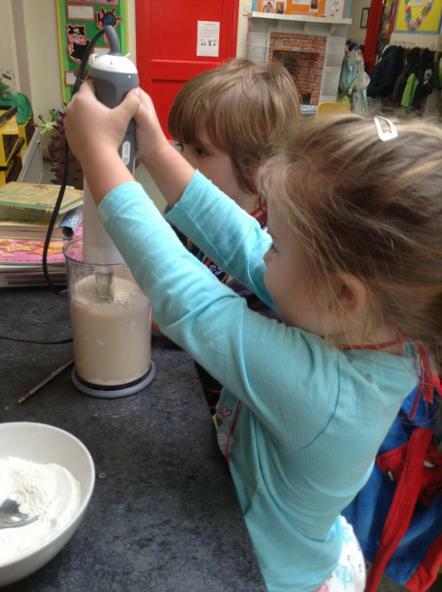 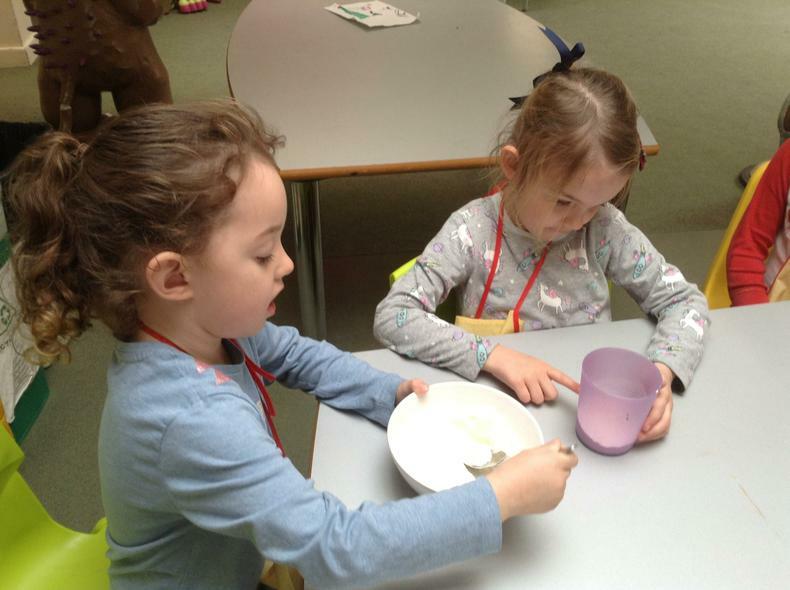 As we are exploring half it was a good opportunity for the children measured out the ingredients using half cups. 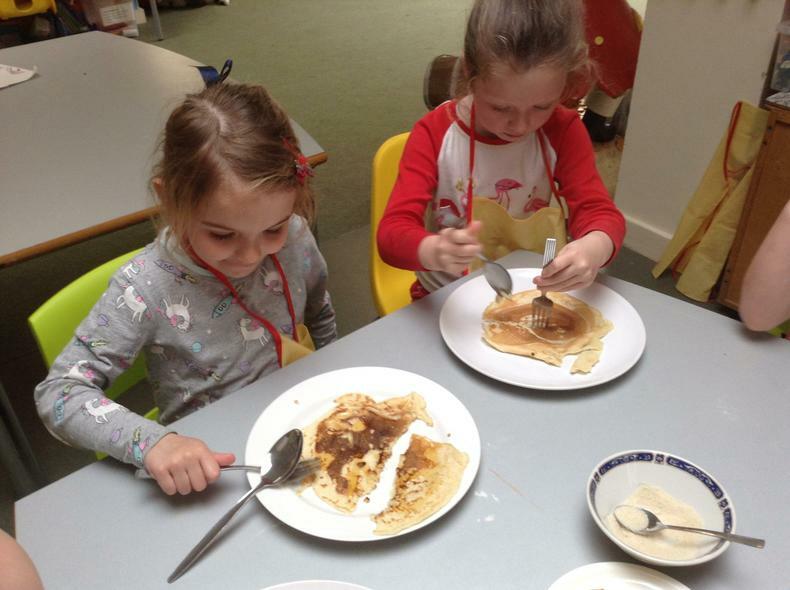 They used the blender to mix the batter and after I cooked them, they cut their pancakes in half. 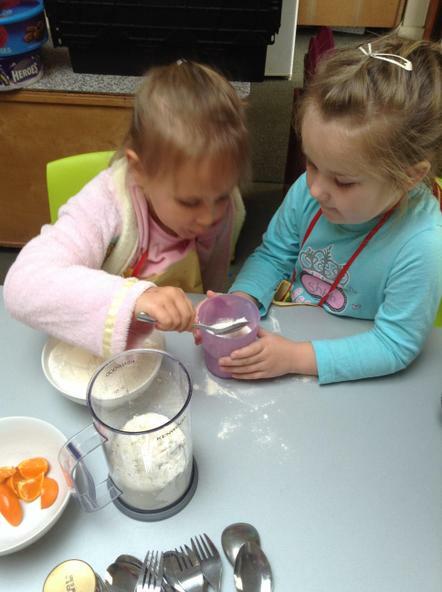 They could choose what to put on top - lemon and sugar, syrup or maple syrup and freshly squeezed orange. 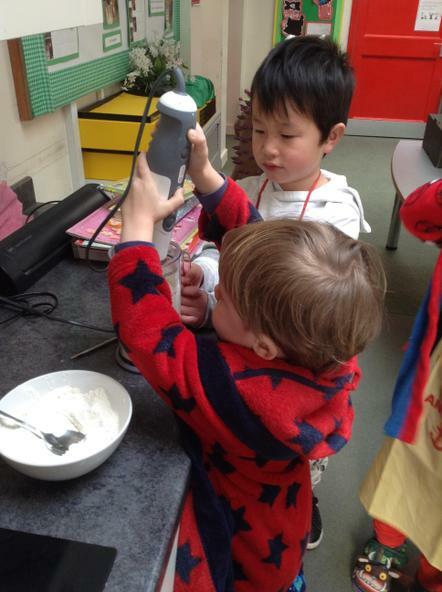 Antonio told us that his Mummy cooks vegetables with them.